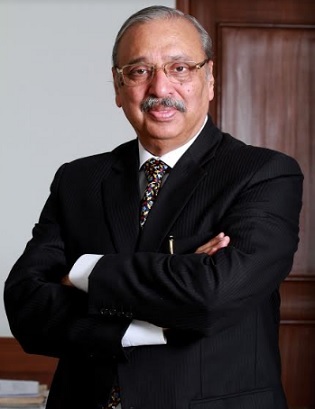 Dr. Mahesh Gupta, Chairman, Kent RO Systems Pvt. Ltd.
Water Digest Water Awards backed by the Ministry of Water Resources, River Development and Ganga Rejuvenation and UNESCO, is a prestigious domestic water award with the vision to awaken the ‘Eco-Consciousness’, it is an eminent platform to appreciate the outstanding and exceptional accomplishment in the environment sector. With the key focus on people, innovations, and processes that contribute to the sustainability of water resources, it honors' the Organizations/NGOs/Corporate that has worked to ensure that the efficient use of water resources are registered in the mind of people and industry. Reverse Osmosis (RO) removes the all pollutants and contaminants from water, UV also known as Ultra Violet Radiation kills bacteria and virus and Ultra Filtration, an additional layer of security which works without electricity, filters remnants of microbial bodies. Thus, a combination of all three provides multistage purification which makes the water 100% safe and pure. Kent RO Systems has been awarded various prestigious recognition and accolades over the past years, including Organization of the Year Awards 2017, Best Domestic Water Purifier Award 2016-17, Asia's Most Promising Brand 2016 and many more.